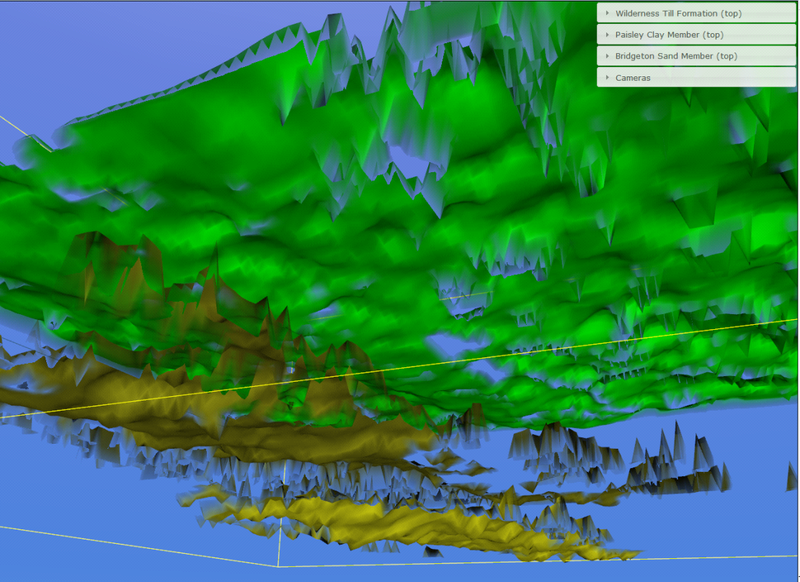 EarthServer is one of the most influential project series delivering next-generation Big Earth Data services. which has demonstrated new directions for flexible, scalable EO services based on innovative NoSQL technology. Researchers from Europe, the US, and Australia have teamed up to rigorously materialize the concept of the datacube. Such a datacube may have spatial and temporal dimensions (such as an x/y/t satellite image time series) and may unite an unlimited number of scenes. Independently from whatever efficient data structuring a server net¬work may perform internally, users will always see just a few datacubes they can slice and dice. EarthServer has established client and server technology for such spatio-temporal datacubes. 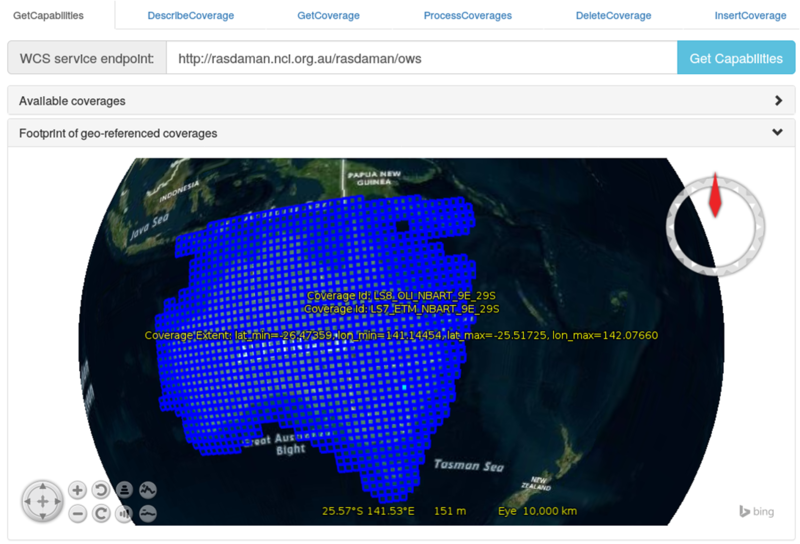 The underlying scalable array engine, rasdaman, en¬ables direct interaction, including 3-D visualization, what-if scenarios, common Earth Observation data processing, and general analytics. Services exclusively rely on the open OGC "Big Geo Data" standards suite, the Web Coverage Service (WCS). Phase 1 of EarthServer has advanced scalable array database technology into 100+ TB services; in Phase 2, more than 2.5 Petabyte datacubes have been built for ad-hoc extraction, processing, and fusion. 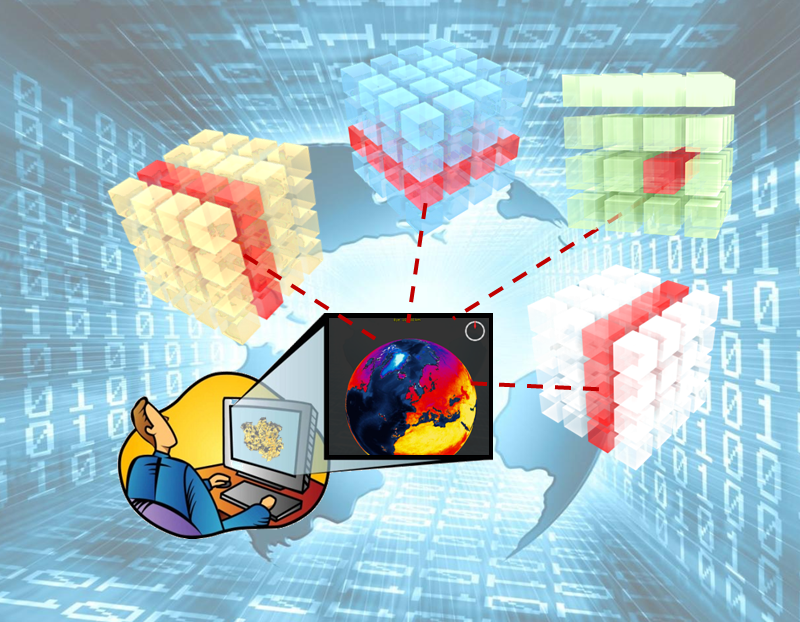 However, EarthServer has not only used, but also shaped several Big Data standards. This includes OGC coverage data and service standards, INSPIRE WCS, and the ISO Array SQL standard. 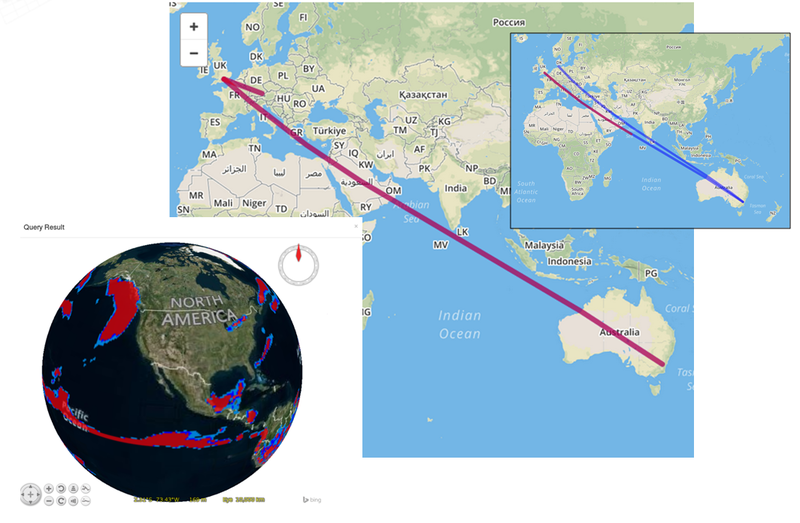 Both European Commission and reviewers observed "proven evidence" that rasdaman does "significantly transform [how to] access and use data" and "with no doubt has been shaping the Big Earth Data landscape".